A gold in the Olympics means athleticism, discipline, good diet, government support. Remove or reduce just one then hope no more. Better, compete anywhere else but in the Olympics. For the Filipinos, there is athleticism all right. He can persevere, ignore pain, work to the bones, sacrifice. Discipline? He has a different view, an uncommon standard, a distinctive understanding of what discipline is. He does not even have a typical appreciation of what constitute discipline. For him, discipline is a sudden decision to take on something and would stick to it for a number of holidays. That is what discipline is for him—sudden, distilled effort and then the final blast. In the highly competitive world of the Olympics, he will therefore be pitted against one who has been trained as a toddler, fed considerably well, managed by the State. And where will our participant land? It is only there in the news and not even considered as good. Worst, the delegate is even disregarded. Courtesy however dictates that they are never considered a nuisance! Filipinos are never particular in a good diet. He prefers a tasty viand than a protein rich but bland one. His food is rice and all else are but appetizers only. With this diet, he is most likely to grow a wing and fly like most birds are. His bones are not solid and therefore he is naturally lighter than his counterpart abroad. He is not only underweight but under height also, but there are exemptions for those who happen to have a gene transported from past invaders into the shores but compared with his counterpart in other countries, he is virtually a fowl. Government support? Disregard the impression. Sports is still viewed as an extraordinary tact, a time filler, an expensive hobby. It is difficult to hold the attention and inspiration of local athletes. They must have to earn a living before their sport takes precedence. Some are even bread winners for their families. It is not surprising that most of our athletes are not scholars but full time workers. Ask them their dream and it is not a gold medal but gold in their pockets. 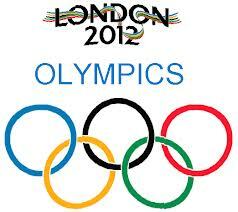 The Olympics was conceived as an expression of superiority. No need for war to define strength. Just a medal and a win are enough record to go by. For the Filipinos, inured at being conquered and invaded by one foreign country after another, there is no way to get into a war. Collaboration is better than confrontation. There is no such thing as collaboration in any sports in the Olympics. If at all an attribute like team work is necessary, there should somewhere be in the team a leader to hold on the banner. I heard somewhere that there was a conference in Southeast Asia where delegations from different countries were in attendance. When the host country required for the team leader to stand up and introduce their party, there was corporate poise among the group. An elderly stood up and introduced his Japanese team. A youthful delegate followed suit and presented his members. This was followed diligently by a bespectacled lady as she vibrantly described her Taiwanese crew. When the Philippine representation was called and asked for their team leader, the entire delegation stood up! Winning as a concept in this country is never winning in the real sense. It simply means surviving. To win is to survive. If in surviving one land on top then it is more of a freak incident and merits outstanding accolade and then nothing follows. One day you will find the winner scrimping for his daily meals. Unless of course the person looks good and is recruited in the film industry, which is wish fulfillment for most of those wanting or eyeing for prospects of earning a fortune. As it were, they merely fade into the background of economic struggle. This is not to bash my country and denigrate my sports minded fellowmen. We are always in a competitive mood and we have always aspired to reach the top. But we must have to start at an early age. Practicing a few months before the Olympics is not only foolish but imprudent. That however is what we try to do. It is never a Filipino tradition but more a bureaucratic orientation. My point is this. We stop being lackadaisical and begin to be genuinely Filipinos, then gold is reachable. UPDATE: The Philippines Team has no medal coveted yet, and is more expected not to earn some medals as the most promising Filipino Olympic athlete Mark Barriga fell into the round 16 in boxing. The game has just started as they were going to produce the 4,700 Olympic and Paralympic medals by the Royal Mint. July 27, 2012, is the day to witness to what country is the which has the most number of medals (gold, bronze, and silver) until August 12, 2012 as this blog will be available to be as a latest updates of London Olympics 2012 with the medal tally and rankings with the winners, with finale of results, and every updates of the games in every part of different countries joining the 2012 Olympics including our very own Philippines – the Philippines Olympic team 2012 with 11 athletes who are competing in 8 sports, making it the smallest Philippine delegation to the Summer Olympics since 1932. Posted on August 7, 2012, in Uncategorized and tagged final blast, gaming, sports, travel, vacation. Bookmark the permalink. Leave a comment.